Teething is a natural phenomenon that usually occurs with little or no problems. Nevertheless, some infants or teething babies exhibit signs of stress or complications which includes rising of temperature, diarrhea, dehydration, increased salivation, skin eruptions and stomach disturbances. 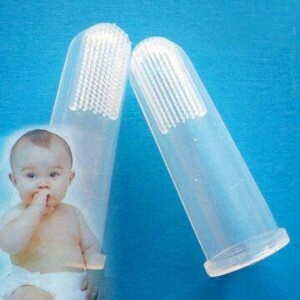 Increased fluid consumption, a non aspirin analgesic and palliative are consisting of the use of teething rings to apply cold and pressure to the affected areas generally reduce the symptoms and results in happier babies. Do not try to puncture or lance the gum tissues to aid the eruption of the baby teeth. If the symptoms mentioned above continue to persist for more than 24 hours , the baby should be examined by a physician to rule out any upper respiratory tract infection and any other disease conditions. In the past, guidelines have recommended that babies without symptoms should be scheduled for first dental examination at the age of 3. More recently however, professional guidelines have Incorporated the importance of earlier attention to oral health during infancy, particularly for babies at elevated risk of baby teeth cavities. It is now stressed that it is very important for a baby to see a professional dentist for check within the 6 moths of the eruption of the child’s first tooth or no later than age 12 months. Daily removal of food debris and plaque promotes sound teeth and healthy gums. Early initiation of removal helps establish a long life habit of oral care. A disease free and happy mouth brings satisfaction not only to the parents and babies but also the dental team that provides counseling and encouragement. Parents should be educated about the dental disease process and they will be charged with the responsibility of cleaning their babies teeth daily. Initially, oral hygiene for the babies probably should be performed when changing the babies diapers. A changing table is a convenient height and usually has appropriate lighting. As the baby grows, knee to knee position becomes preferable. Bathrooms are usually too crowded and not designed for the babies safety. Finding an appropriate time is also important. The combination of a tired baby and an exhausted parent does not produce a favorable environment for a positive experience. Developmentally, babies are not prepared to accept or understand the activity. Games may be developed or music and singing use :, parents must try to create a positive experience . With time, the baby might become even more less tolerant, but parents should be encouraged to be persistent. As soon as your baby’s first tooth appears, you should start caring for it. Brushing baby teeth, most experts recommend wiping the tooth a couple of times a day with a cloth. This keeps the residue from milk from sticking to the tooth. 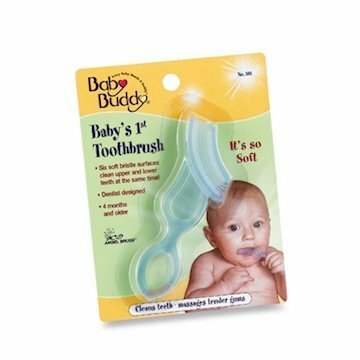 Also available are baby toothbrushes that fit on your finger, these have very soft bristles and can also be used to clean the tooth. This is a useful item to use, particularly as more teeth arrive. Adult toothpaste is not recommended until a baby is about three because they may swallow it and get too much fluoride. However there are many varieties of babies toothpaste on the market, in a variety of flavors, colors and branding. By the time babies are a year and a half, they are more interested in the toothbrush. It is worth giving them a toothbrush as soon as they become interested. By two years of age you can teach them how to brush with a toothbrush twice a day. Take your baby with you to the dentist from being a tiny baby so he or she can get used to the sights, sounds and going regularly. This should help when a check up is needed once your baby’s teeth begin to grow. You can help prevent tooth decay by buying the right toothbrush and establishing a regular teeth cleaning routine. Toothbrushes are usually sold with an age recommendation for use on the packaging, for example from birth to two years; choose one specifically designed for your child’s teeth . Children ‘s teeth toothbrush should have a long, thin handle that fits in your hand and helps you to reach around all the teeth, and a small head with soft, rounded filaments. Once your baby wants to have a go himself, buy a toothbrush with a chunky, short handle and finger grips. The head should still be small and the filaments soft. You will however still need to assist with the cleaning. You may find it useful to buy a toothbrush with a colored area on the filaments to indicate the tiny amount of toothpaste that is required for cleaning a baby’s mouth. Change your baby’s toothbrush at least every three months, and sooner if the filaments are starting to splay. Baby Teeth or milk teeth, will fall out on their own to make way for permanent teeth. Most children begin to lose their baby teeth by age 6 or 7, although sometimes baby teeth fall out up to a year or two earlier or later. The last baby teeth typically fall out by age 12 or 13. The loss of baby teeth is followed by an eruption of a permanent adult teeth below it, so parents please do not worry that your child or baby will be toothless. This entry was posted in Toothbrushes and tagged babies, babies teeth, baby teeth, baby teeth cavities, baby teeth schedule, baby's first tooth, brushing baby teeth, child's teeth, loosing baby teeth, teeth, teething babies, toothbrush on February 22, 2010 by samanthaloh. I used that very soft bristle to my kids at the first appearance of their, so I can introduce them how important it is to have a healthy too and they will get used to it. Take them to our family dentist for regular dental check up and giving them all necessary foods and vitamins for them to have healthy teeth.